If you’re building a car from scratch, it’s more than likely that you’re going to make it presentable. Maybe even better than average. 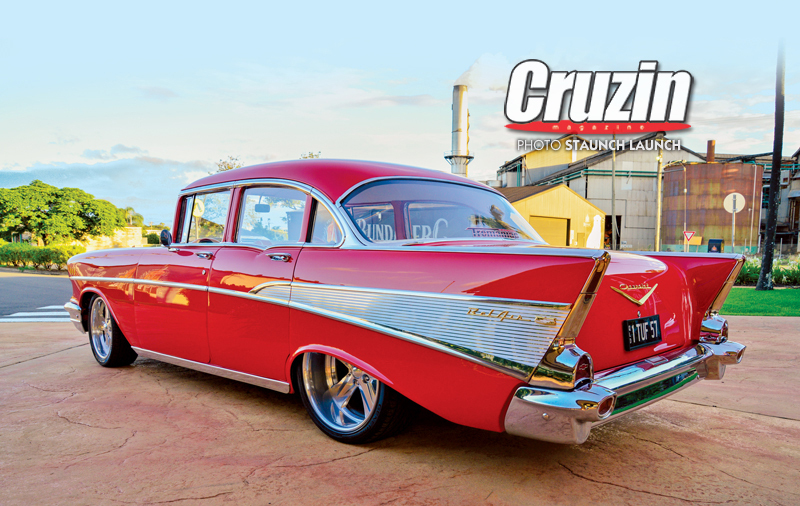 Felix Cefai’s 1957 Chevy is better than average, picking up its fair share of tin ware since completion early this year. But Felix’s biggest reward is being able to flick the ignition and take a cruise around the streets of Bundaberg, maintaining that this elite bowtie is still just a cruiser. 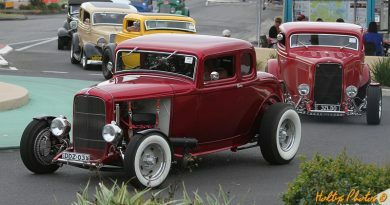 “One of my mates owns ‘Tuf 57 Chevys’ wedding cars in Sydney, he saw the car come up for sale and rang me to let me know. I wanted a four door, right hand drive sedan, two doors are everywhere. I bought it from the photos. I drove down from Bundaberg to Newcastle with my dad and drove it home,” recalls Felix. Of course that car was a far cry from the one you see here. It wasn’t a bad car, it’s just that Felix wanted more from his 327-powered Aussie built classic. 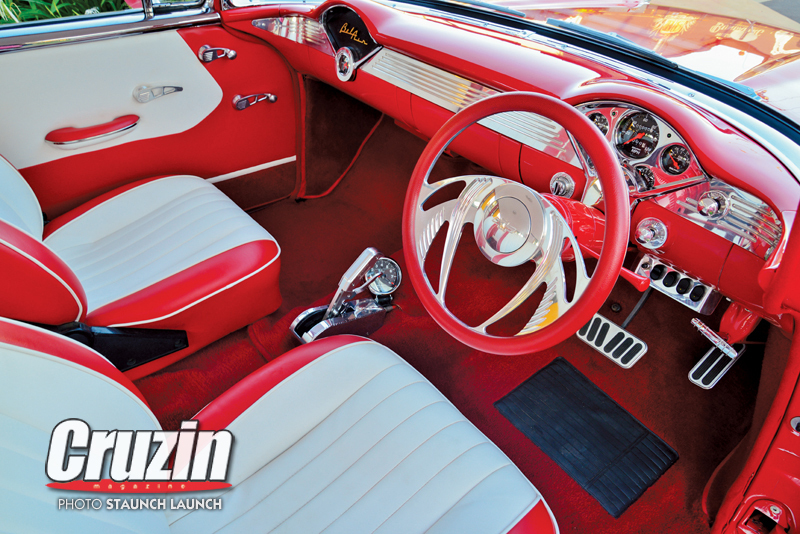 Over the course of five years he put in a fresh motor, upgraded the driveline and cruised regularly. 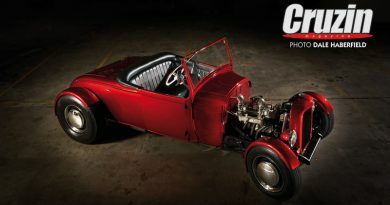 After spending so much on the mechanicals, Felix figured a fresh paint job was justified, which led him to his next door neighbour, Graham Walton of Caprice Custom Painting, a gent handy with a both spray gun and good advice. “I just wanted to paint the outside but it was Graham that convinced me to do the whole thing, so I took it off the road and stripped the whole thing to a bare shell. It took me about 6 years,” says Felix. Removing the old red paint revealed a sound body, no rust but plenty of ripples. Tony at Custom Street Restorations took to the sheet metal, ironing out 50 years of imperfections before handing it back over to Graham for colour. Felix toyed with some alternative colour options, but could resist returning to red. “I like the look of acrylic, but I like the two pack shine,” Felix relayed to Graham, who applied a clear over base using House of Kolor products. With a string of street machines in his past, Felix went looking for even more horsepower this time around. “They’re Bundy boys,” he says proudly when asked about engine builders Tremayne Racing Engines, now located in Yatala on Brisbane’s south. 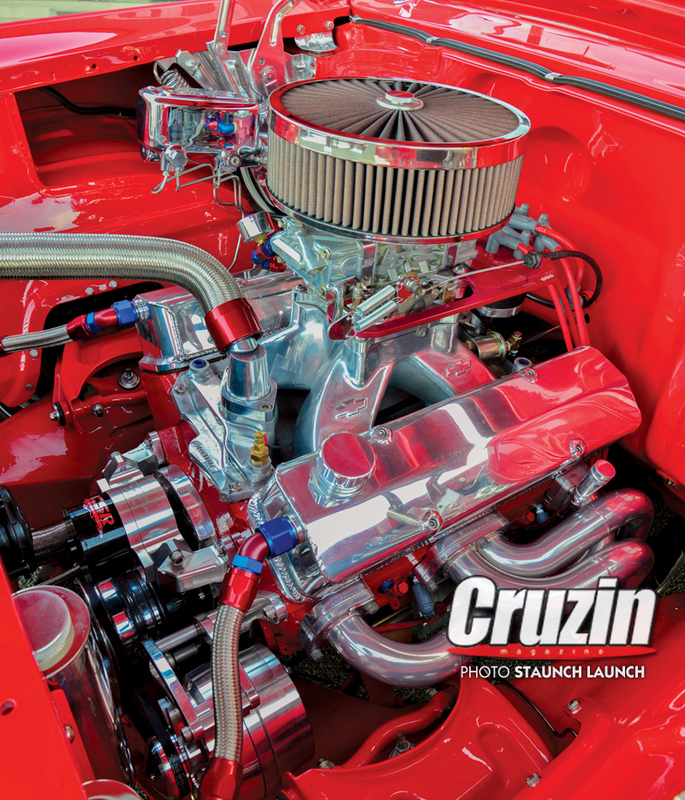 The Tremayne family have dominated Pro Stock drag racing in Australia for a number of years so piecing together a solid, aspirated engine for Felix was a walk in the park. “I just told them I wanted 500-600 horsepower,” said Felix, and they responded with a 385 cube small block that pulled 539hp on the dyno. Job done. Looking to maintain top notch credentials throughout the rest of the driveline, Felix went to Geartorque in Brisbane for a tough turbo 350 who included a Convertor Shop 4,800 stall in the package. Local fabricator Jimmy Hamilton braced the Ford 9” rear before it was reinstalled along with a 4.11 Tru-trac centre. “The driveline is built to handle about 800hp,” says Felix as he contemplates a supercharger. JC Customs improved the handling with a HT Holden column and box, QA1 adjustable coilovers at the front and a CPP brake kit all round. Inside is a blend of old and new, Felix turfing the bench seat and replacing it with a pair of HQ Statesman buckets, slicing the headrests off to keep a low profile. “Anderson Motor Trimming has trimmed some nice hot rods up here in Bundaberg,” says Felix when asked about the seasoned stitcher. “I told him I wanted red and white, more old school, and we just went from there,” he adds. 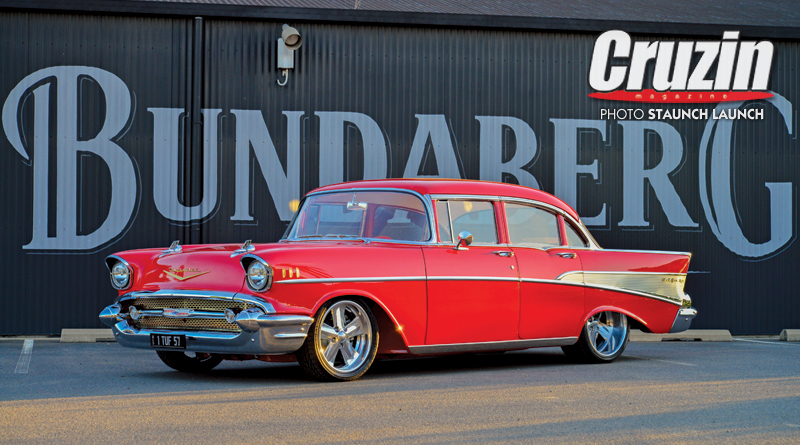 The Chevy was completed just a few days before this year’s Summernats, giving Felix just enough time to get to the Canberra get-together and score in the Top 60 for his efforts. 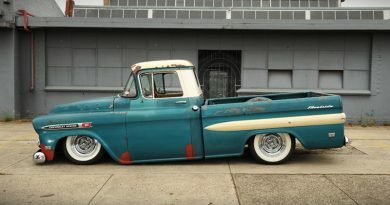 The ‘57 also won Top American at the Mackay show last May and scored an invite to MotorEx, which they gladly accepted. Felix maintains it’s just a streeter, a street legal one at that, and is looking forward to getting out to more events, maybe even tackle the quarter mile. “This is the first car I really went all out on,” he says.